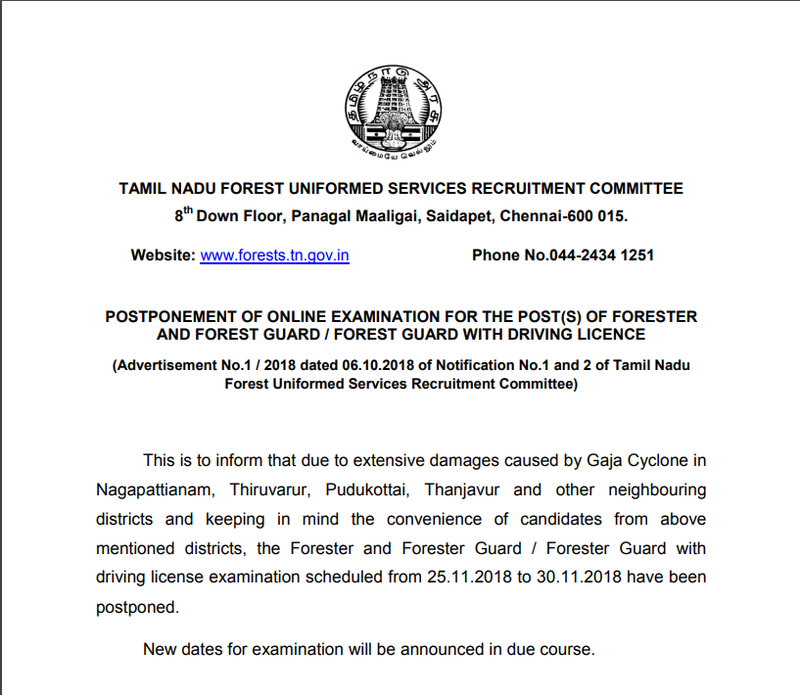 TNFUSRC (Tamil Nadu Forest Uniformed Services Recruitment Committee) Forester, Forest Guard and Forest Guard with License Recruitment recruitment which is destined to start in the next week are postponed and TN Forests have provided a notification officially regarding this. Recently TN Forests have also released the Hall Tickets for the post of Forester, Forest Guard, Forest Guard with License and for the latter, the admit card was released yesterday. Cyclone GAJA has hit the Delta Regions in Tamilnadu and has made a huge destruction particularly in areas like Nagapattinam, Tanjore, Karaikal, Sivangangai, vedaranyam and others. Huge Number of People have been evacuated from the affected area and have been sheltered in 490+ relief camps. Around 1 lakh of houses have been damaged completely and partially. 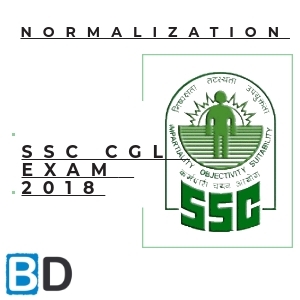 Tamil Nadu Government has postponed the TNFUSRC Forester , Forest Guard and Forest Gurad with License Exam to a later date which is to be announced in the forthcoming days. Here is the Official Notification from TN Forest Department regarding the same. mentioned districts, the Forester and Forester Guard / Forester Guard with driving license examination scheduled from 25.11.2018 to 30.11.2018 have been postponed. New dates for examination will be announced in due course. 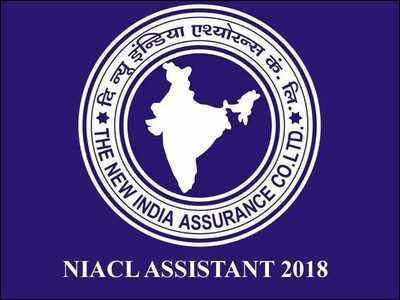 Aspirants can check the official notification regarding the same from the link that is provided below. Join with Race Institute to Help the People of Delta. Like the Relief Program conducted for Kerala flood, our RACE Team (from all the Branches) is to provide the required items in affected places soon. Our Volunteers team to make a camp at Delta Region which is heavily affected by Gaja Cyclone. We request RACE Staff Members, Students & followers to make your contribution in any form. You can also contribute as Money so that it will reach to the affected people in any form. Aspirants can attend the Mock Test / Practice Test of the TNFUSRC Recruitment – Forester 2018 from the links given below. 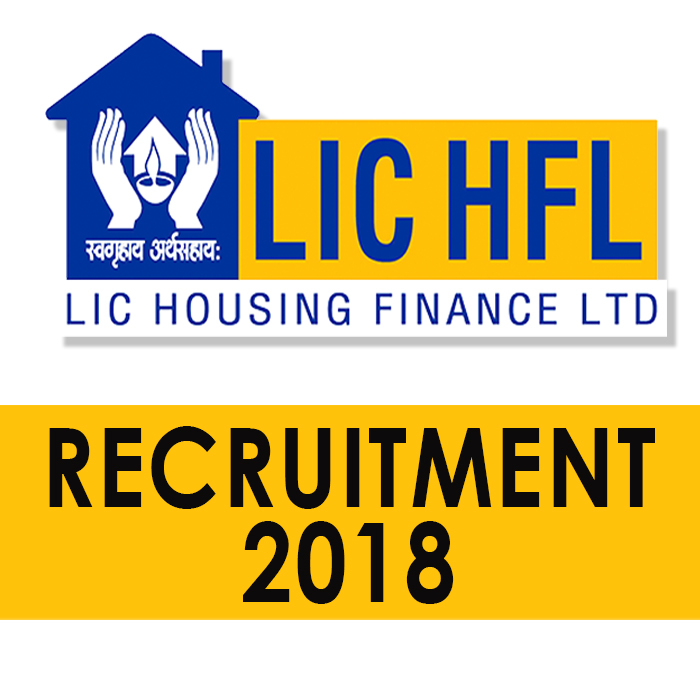 Aspirants can attend the Mock Test / Practice Test of the TNFUSRC Recruitment – Forest Guard / Forest Guard with License 2018 from the links given below.